August 5th at our Sister’s house, Mary Hay celebrating July and August Birthdays and enjoying a pot luck. 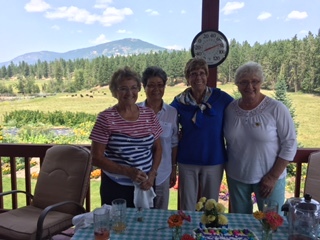 Picture on Mary Hay’s Deck with Birthday Cake. Unfortunately there was only 6 of us that day, but we all did have a great time visiting with our sisters. 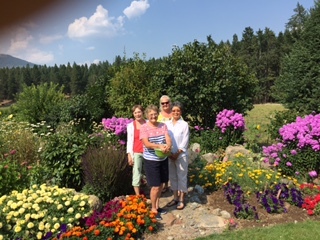 Mary Hay is in striped shirt on left, Setsuko Church next to her, Nancy Clatworthy in blue and Dottie Grey in white shirt.